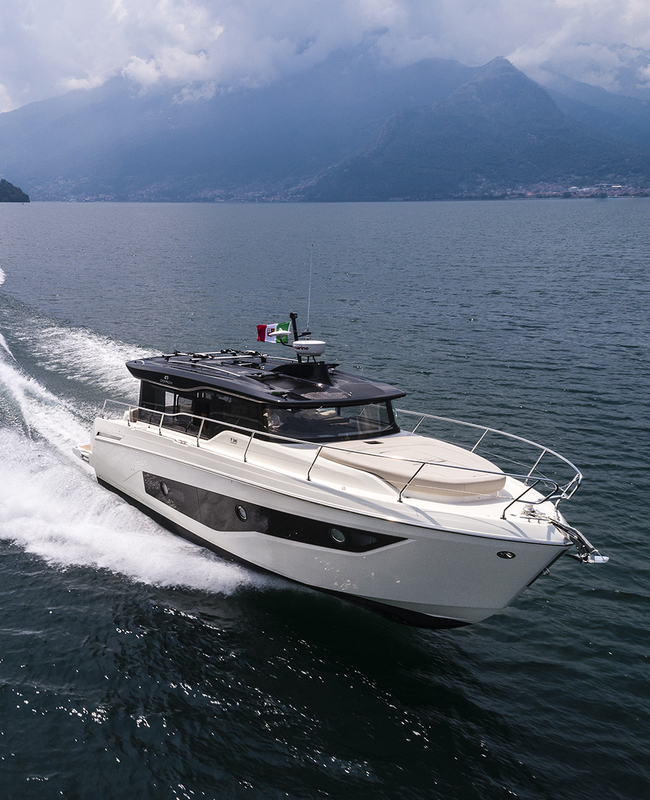 The Cranchi T36 Crossover, designed by Christian Grande, is the European Powerboat of the Year 2019 in the 35-45 feet category. 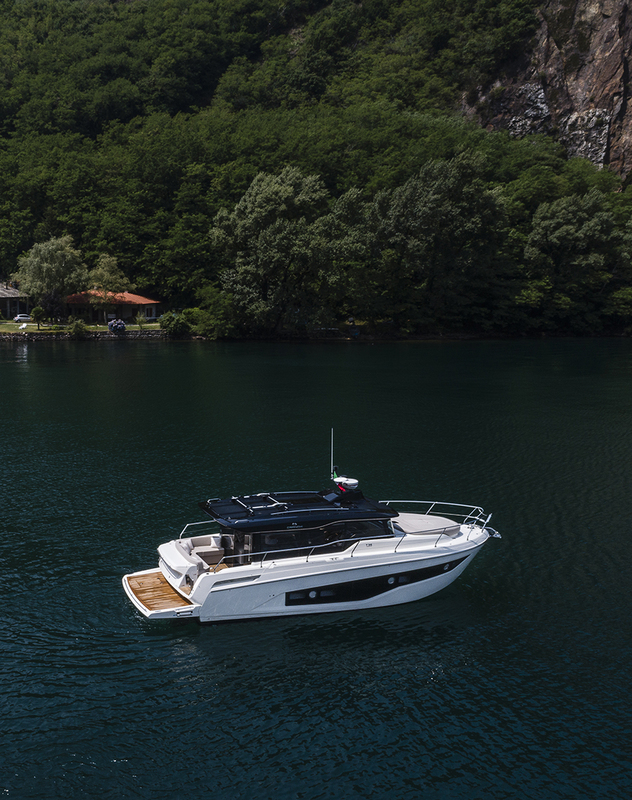 This boat stands out for its concept, which combines the rationality of a trawler with the thrill of a cruiser. 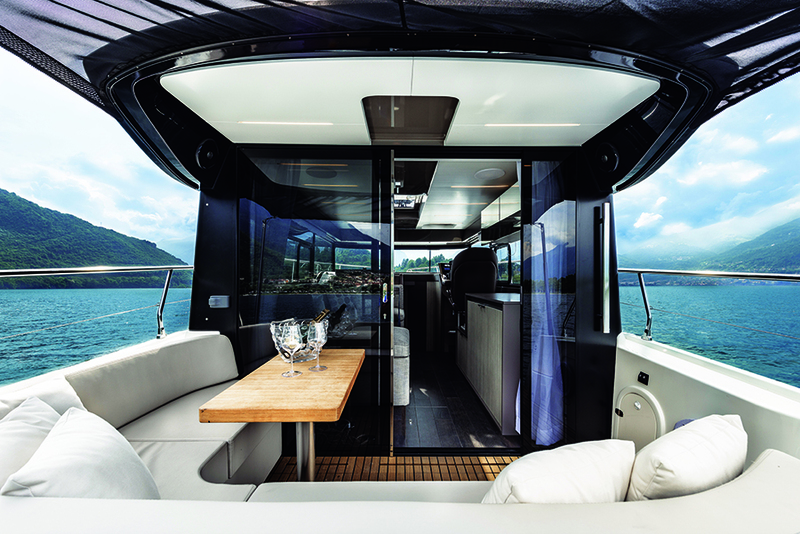 The performance and living space of this lively boat are amazing, considering that its hull length is less than 10 metres. 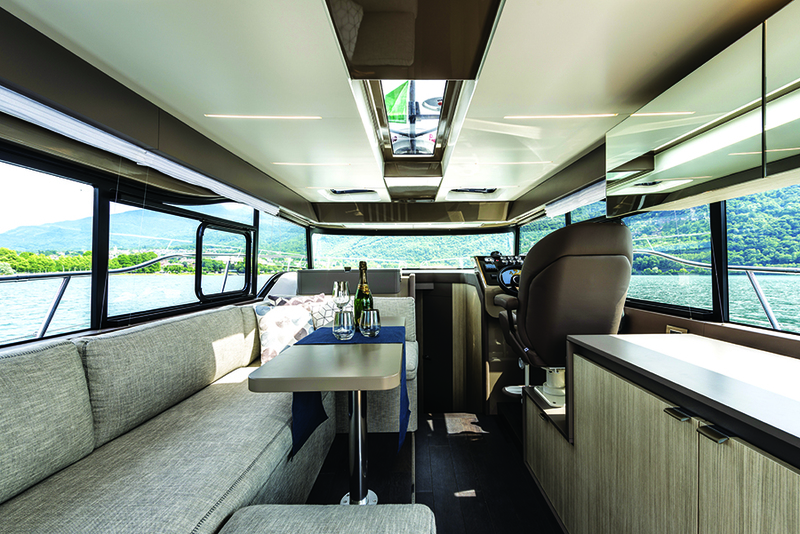 The design of the exteriors favours overhanging lines, both fore and aft, to increase living areas and for a greater dynamism and momentum. 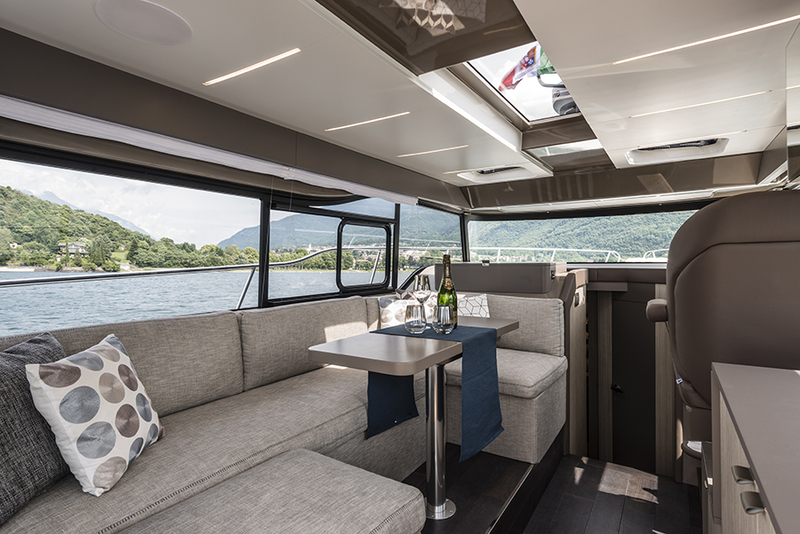 On the main deck, the hard top large covered area is sheltered by the glass panels, which offer comfort and protection without shutting out natural light and external visibility. 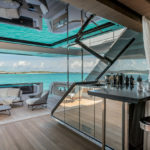 A glass sliding door seals off this area, making time on board pleasant at any latitude, even at the hottest time of the day (thanks to the air conditioning system) or in the coldest months. Even when the door is closed, there is still a perfect feeling of continuity with the surrounding environment. This feeling is increased when the doors are open, creating in this way a single convivial area. The cockpit (internal and external) develops on one level, with no stairs. 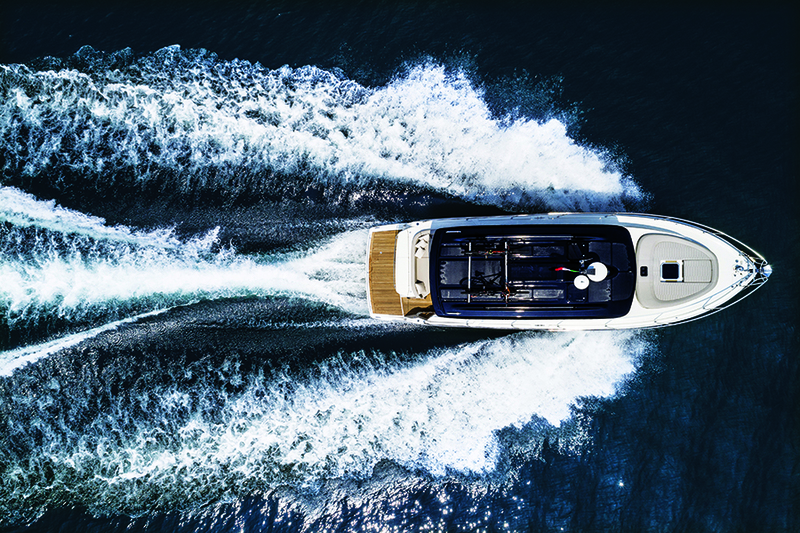 Everything in the T36 Crossover keeps the promise of an immediate, easy and direct relationship with the sea. 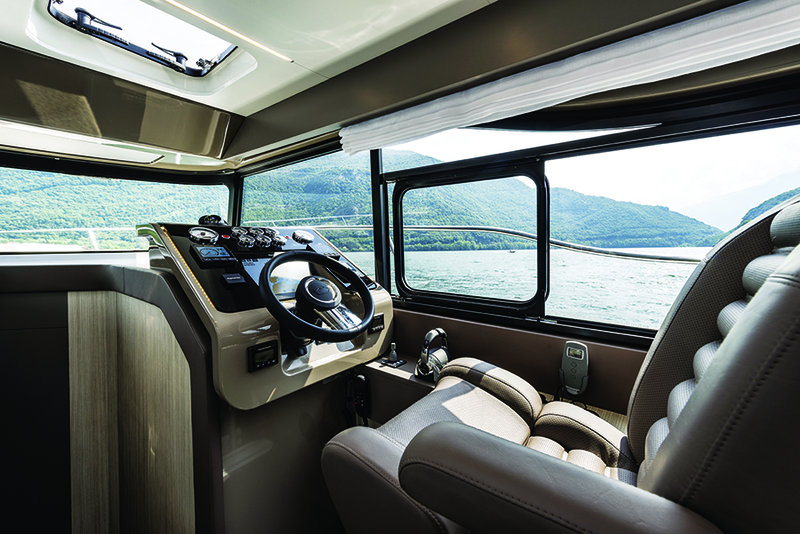 The cockpit contains a comfortable seat and a piece of furniture with grill and basin. 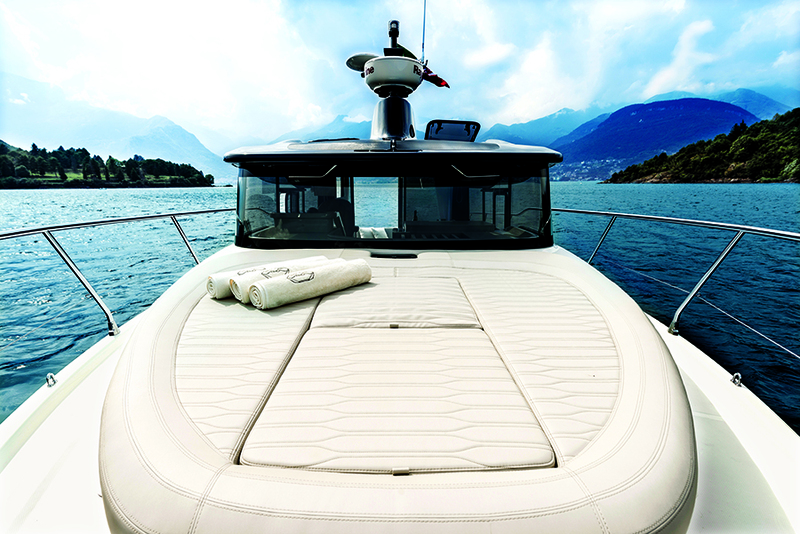 The large swim platform is very easy to access and it is just as easy to move to the bow, using the walkway that runs the full length of the boat unhindered. 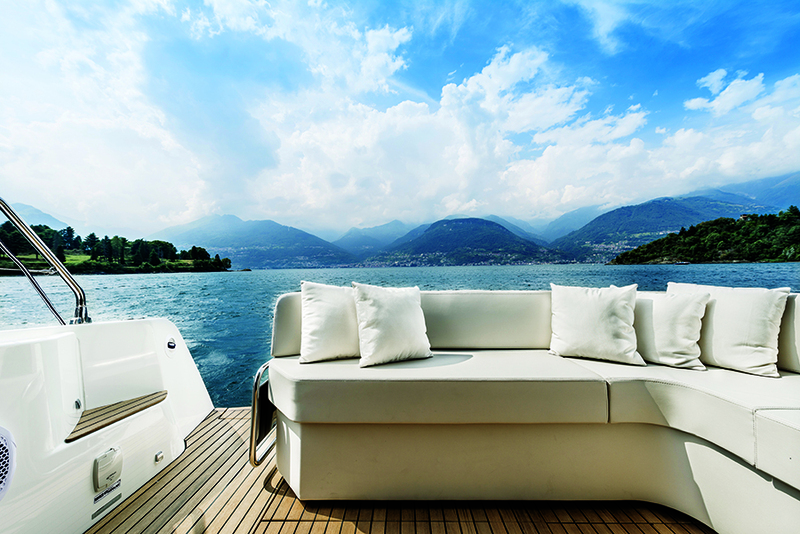 There is room for a sundeck in the bow. 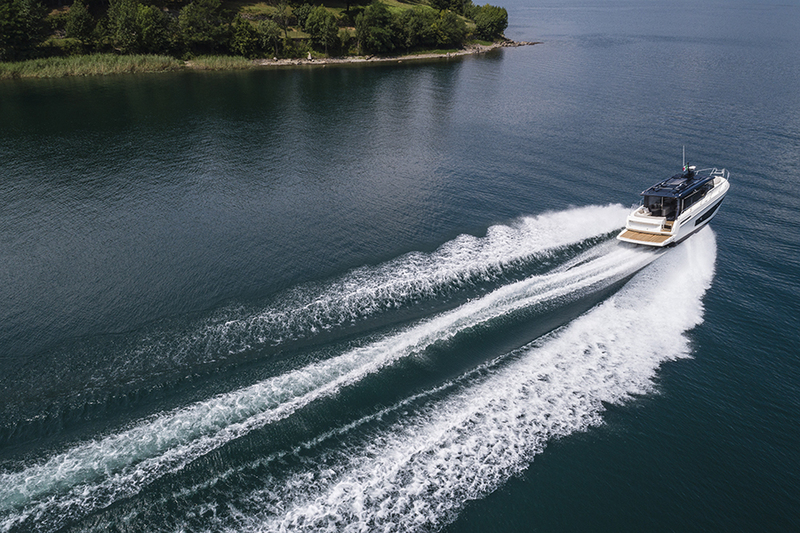 The hardtop can be used to transport bicycles and SUP, which increases the boat crossover character. 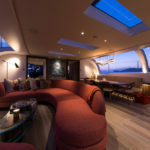 The covered area of the cockpit, in addition to the steering area, also has a living room with a convertible sofa and a kitchen unit. 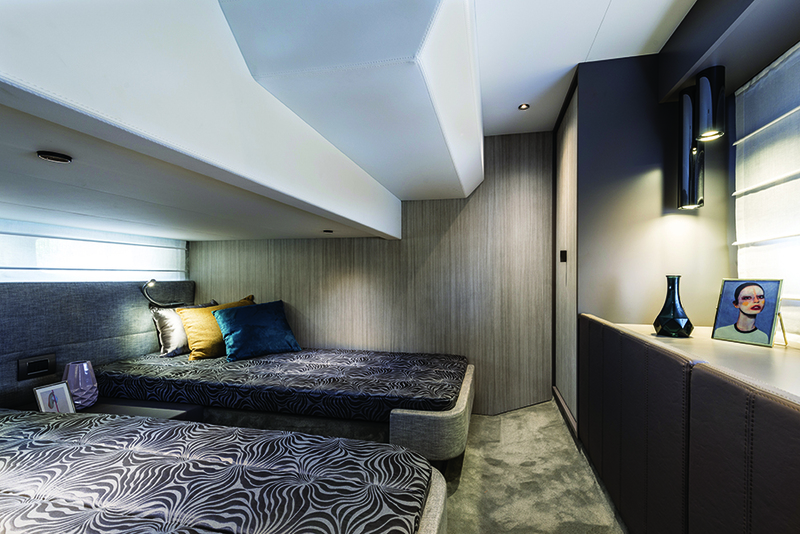 Below deck, the night area is obtained with solutions that are surprising in a boat this size. 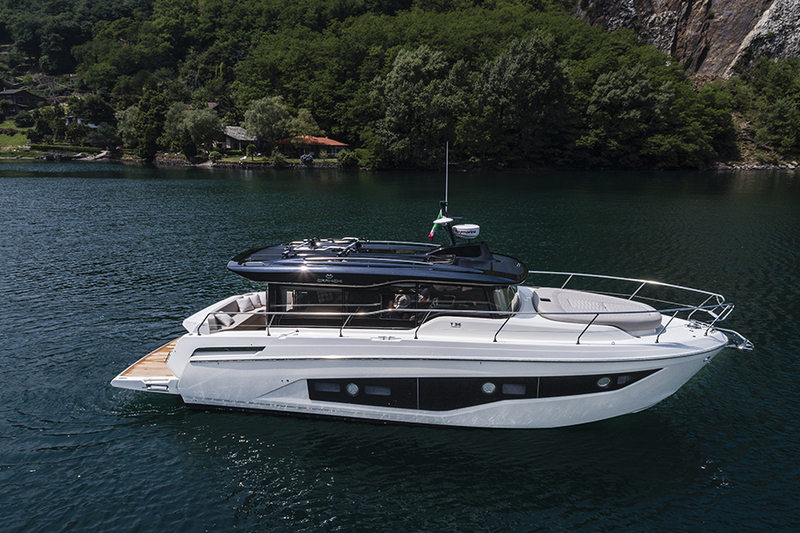 The Cranchi T36 Crossover has alternative configurations – two cabins and two bathrooms, or three cabins and one bathroom. 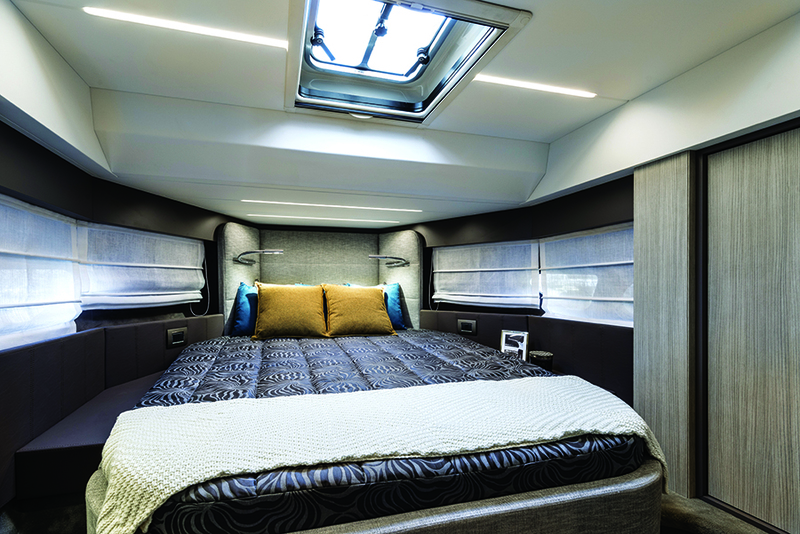 In this way owners can choose what they need, without giving up on comfort, conviviality and the right amount of privacy. 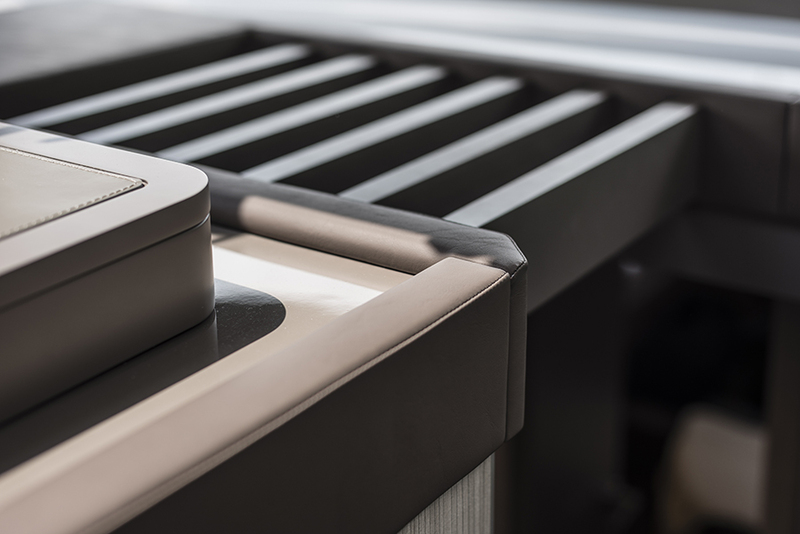 “The interiors can count on style details, finishes and chromatic composition that are usually found only on larger vessels,” adds Christian Grande.